Generations at Oakton is dedicated to serving your family’s needs and exceeding your expectations. 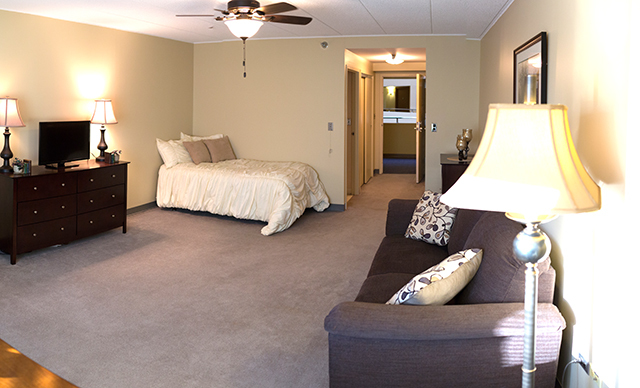 The Oakton Arms facility offers independent living. This is the place for seniors who are staying active, but want comfortable, safe and convenient housing. 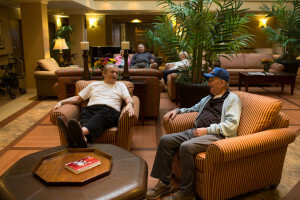 If you find yourself becoming overwhelmed by home maintenance, require regular health care services, or are simply looking to move to a residential community and make new social connections, an independent living retirement home may be a good fit for you. Independent senior living options are maintenance-free so that you can spend time doing what you love. Apartment plans include bedrooms, living rooms, kitchens and private bathrooms. Check out more about our accommodations, amenities, and dining. See how you get the comforts of home with our concierge services. The major difference between independent living and other retirement housing options is the level of assistance offered. Residents at Oakton Arms have access to the convenience of Oakton Pavillion, our rehabilitation & skilled nursing facility right on our campus. For residents that are recovering from major surgery, illness or injury, you want to get back to optimum health as soon as possible, Oakton Pavillion is right next door. The two buildings are connected by an indoor walkway so that weather and seasons are never an issue. Learn more by exploring our rehabilitation and healthcare services. Learn something new, express your talents and make friends at guest lectures, creative classes, out trips, club meetings and theme parties. Energize with a fun fitness class or relax in your serene private apartment. It’s your choice and everything you need is right here! Learn more about the variety of activities and how our staff plans something new each month.